The 2008 Honda Civic Si Sedan is known for its razor-sharp handling and high-revving engine, but let’s put that away and pay attention to some styling features just like the License Plate LED lights. This is what one of our customers did with purchasing License Plate LED lights for his lovely sedan, and this is what you can do in no time, too. Check out the brand new look of the rear – a feast for the eye, thanks to the new color and enhanced brightness. This great-looking mod is easily achieved with a pair of 360 degrees shine 12-SMD T10 Wedge LED bulbs from iJDMTOY. 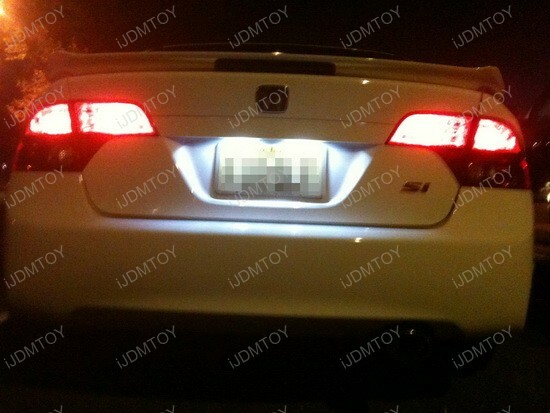 These bad boys are perfect for license plate lights and as you can see from the pictures, they are doing a great job. If you want to make your friends say "Wow! ", you should definitely consider replacing the old stock bulbs with new License LED lights. For example, the featured LED bulb is three times brighter than traditional T10 LED bulb, it lasts longer, and what’ more, you can pick from two color options – Xenon White or Ultra Blue to match your style. 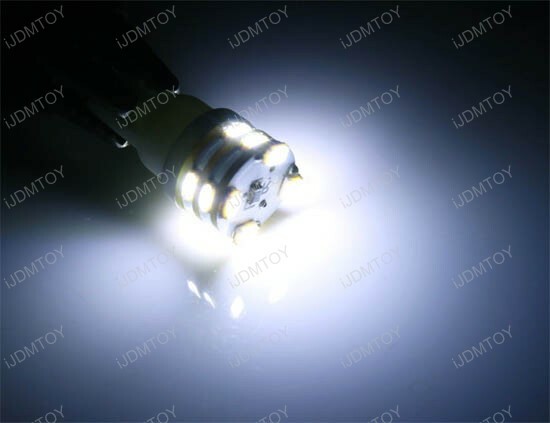 12 pieces super bright 3020 SMD LED lights ensure amazing amount of light and gorgeous look for just a few bucks. Installing these LED lights takes no more than 15 minutes even if you are not car guru, because all you have to do is to plug out the stock bulbs and put back the new License LED Lights. Please test them before reinstalling the covers, because these lights are polar sensitive and if won’t light up, just flip the bulbs 180 degrees and try again. That’s all, make a few steps back and enjoy your car’s new LED look. Engineered for the enthusiast driver, the 2008 Honda Civic Si Sedan does not simply offers performance, but room for smooth improvements just like these License Plate LED lights. Put some life into your ride and it will pay you back with getting you more compliments! 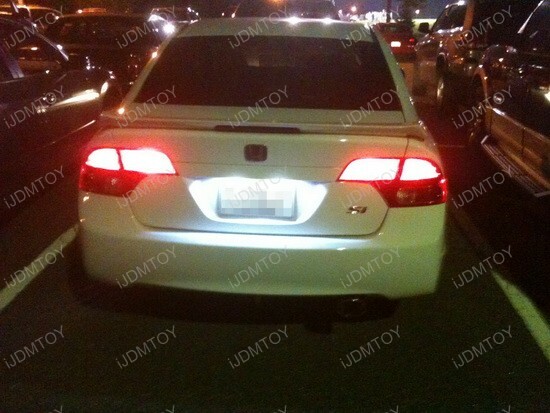 This entry was posted in - LED & HID Updates, Honda and tagged 158, 168, 175, 194, 2825, 2827, 912, 921, backup reverse lights, car Interior lights, Civic license plate lights, door courtesy lights, Honda Civic license plate lights, Honda Civic Si Sedan license plate lights, LED bulbs, led license lights, LED license plate lights, LED plate lights, License LED Lights, License Plate LED, license plate lights, parking lights, T10 LED Bulbs, W5W by Eric Wu. Bookmark the permalink.